The Old Testament uses several names for the One who created. For example: “For thus saith the LORD [i.e., Jehovah] that created the heavens; God himself that formed the earth and made it” (Isaiah 45:18). But the New Testament leaves no doubt as to who the Creator is. Today’s verse states it clearly. The “him” in context is the Father’s “dear Son” (v. 13) who shed “his blood” (v. 14). Similarly, the favorite passage in John 1:3 identifies Christ as the Creator: “All things were made by him; and without him was not any thing made that was made.” “He was in the world, and the world was made by him” (v. 10). “The Word was made flesh, and dwelt among us” (v. 14). No member of the human race nor member of the Trinity fits this description except Jesus Christ. “God . . . hath in these last days spoken unto us by his Son, whom he hath appointed heir of all things, by whom also he made the worlds” (Hebrews 1:1-2). Jesus Christ is the Creator, and once He put on human form, His creative abilities continued to find application. Several of His miracles involved creation out of nothing. Note the feeding of the 5,000 (John 6:10-11), the transformation of water into wine (John 2:9-11), and bringing life from non-life—the raising of Lazarus (John 11:43-44), just to name a few. 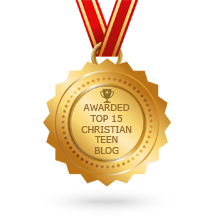 This entry was posted in A CLICK A BLESSING TODAY, CHRISTIAN NUGGETS and tagged Jesus Christ: Creator. Bookmark the permalink.